Distracted driving has become a major problem nationwide, killing approximately 5,500 people and injuring nearly 500,000 each year. For that reason, safety advocates, policy makers and scientists have adopted an “all hands on deck” approach to eliminating the dangerous practice. A new intelligent vehicle control system developed by a group of German researchers has taken this effort to unprecedented levels, with a product that would enable to driver to control everything in the car, from the volume settings to temperature, with the wave of a finger. The prototype, which will be unveiled at a conference for intelligent user interfaces in Palo Alto next week, tracks the driver’s finger movements as it interferes with an electric field from a sensor placed on the steering wheel. The type of finger movement – a circle, rectangle, or triangle, for example – would determine which type of control the movement should regulate. Though a creative approach to cutting down on distractions, the prototype has some very serious implications that could negate its usefulness. 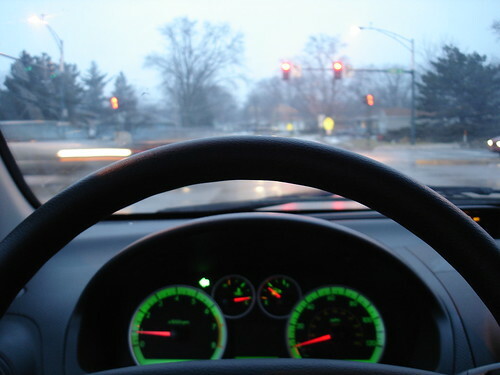 First of all, the sensor only works if the driver has his or her hands placed in the traditional “ten and two” position and is driving straight. With such a relatively untested technology, drivers should also be aware that their intended motions could be misconstrued by the car, potentially leading to additional distractions. But the most troubling aspect of this new technology lies in one of its intended purposes. As Christian Muller, one of the project’s primary researchers describes, “we will combine this with speech recognition in order to allow people to dictate text messages in the car.” The fact remains that distracted driving – in any form ranging from texting to talking to eating – is dangerous and can lead to harmful car accidents. Developing technology to facilitate further distractions likely won’t help the problem. I’m all for technological solutions for safe driving. But when it comes to improving safety on city streets and highways, the best solution is technology that makes it more difficult, not easier, to text.